His work celebrates the world and the individuals within it. The poet Randall Jarrell said that he was ever reminded of Petronius‘ phrase “studied felicity” whenever he read a book of Wilbur’s. Host Francesca Rheannon and guest host Christian McEwen paid a visit to the poet at his Cummington, MA home to record this interview. You can also listen to Wilbur read his poetry in the audio book collection Poetry on Record: 98 Poets Read Their Work, 1888-2006, Volume 2 . We also hear an excerpt from an interview Writers Voice did with Jeanne Braham, about her book [amazon-product text=”LIGHT WITHIN THE LIGHT: Portraits of Donald Hall, Richard Wilbur, Maxine Kumin, and Stanley Kunitz” type=”text”]156792316X[/amazon-product]. 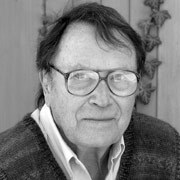 Christian McEwen asked Richard Wilbur what he thought about the removal of the following words about nature from Oxford Junior Dictionary and their replacement by words about technology. In order to make room for modern words like MP3 player, chatroom, and database, the latest edition of the Oxford Junior Dictionary removed many nature-related words as a result of the changing landscape. So BlackBerry takes the place of blackberry, and so on. In order to make room for modern words like MP3 player, chatroom, and database, the latest edition of the Oxford Junior Dictionary removed many nature-related words as a result of the changing landscape. So BlackBerry takes the place of blackberry, and so on. Words put in: Blog, broadband, MP3 player, voicemail, attachment, database, export, chatroom, bullet point, cut and paste, analogue. Celebrity, tolerant, vandalism, negotiate, interdependent, creep, citizenship, childhood, conflict, common sense, debate, EU, drought, brainy, boisterous, cautionary tale, bilingual, bungee jumping, committee, compulsory, cope, democratic, allergic, biodegradable, emotion, dyslexic, donate, endangered, Euro. Apparatus, food chain, incisor, square number, trapezium, alliteration, colloquial, idiom, curriculum, classify, chronological, block graph. Thanks for the interview. I particularly liked his circumspect expression of discouragement in response to the invitation to share in the Oxford Junior Dictionary tempest. Wilbur needs to do a reading on the west coast, preferably in support of a new book. Pingback: Bill de Blasio's Civic Experiment - Is It Working?